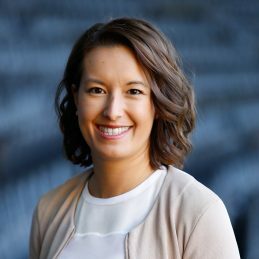 Nat Edwards is a senior presenter on Australia’s No.1 sports website, AFL.com.au, delivering daily AFL news and analysis to football fans across the country. She is also an integral part of Channel 7’s Game Day program, as well as a member of 3AW radio’s football team. A sports nut, Nat has worked as a broadcaster and sports journalist since 2006, covering a range of sports across radio and television. After several years working at Melbourne sports radio station SEN, covering AFL, NRL, cricket, horse racing and tennis, Nat joined the AFL Media team in 2014. During the summer, her love for tennis takes over, with Nat hosting the evening program and live updates on AO LIVE and the big screens at the Australian Open. A passionate, knowledgeable and vibrant member of the media, Nat is well regarded in the football industry, and would be a more than suitable Master of Ceremonies for your upcoming function. She has also hosted several panel discussions, interactive Q and A sessions and conducted on stage interviews, making her an excellent choice for your next event.